A little more than 15 days to the closing of the registrations, the SONANGOL AFRICA ECO RACE team is now in the final preparation phase of the Race. Starting with settling all the official documents, ordering all the needed equipment, booking the transportation, collecting all the required documents, setting up authorization files, signing agreements with all the different providers, but also the TV broadcasters. On the participants side, effervescency is also very present because some of them are still finalizing their preparation to the event such as their registrations, budgets, vehicles and even finding a co-driver, for example. Anyhow, two months to go, and everyone is doing their very best to be ready on the D day, in other words, Sunday 29 December at Saint Cyprien ! Last week, Jean Louis SCHLESSER was the guest of Szalay BALAZS and the Hungarian Team “OPEL DAKAR TEAM” for a press conference in Budapest. It was the perfect opportunity for the five times winner of the SONANGOL AFRICA ECO RACE to describe the event as well as its convivial atmosphere. It’s actually this last point that seduced Szalay BALAZS, one of Hungary’s most respected off road rally drivers and which will participate to the event with his OPEL PROTOTYPE. 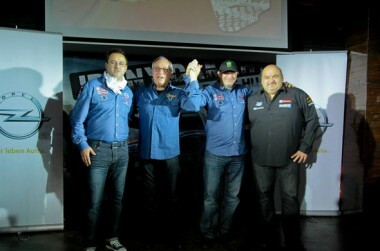 The truck Driver Miklos KOVACS was also present at the conference confirming he would be part of the adventure at the wheel of his huge SCANIA truck. 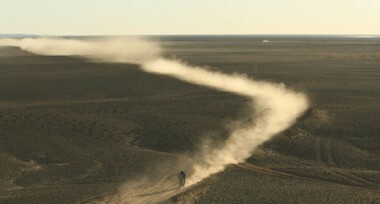 Since its creation in 2009, the SONANGOL AFRICA ECO RACE has always had a solid and reliable TV production. In 2013, the production team was up to 15 persons, which recorded and mounted over 100 hours of programs for different TV channels across the world. But this year, it’s a whole new level, EUROSPORT INTERNATIONAL and MOTORS TV will be broadcasting throughout their different supports ; Eurosport, Eurosport 2, Motors TV ( 3 channels ), MotorsTV.com and eurosport.com ( news and replays ). All three channels sum up to about 90 million homes across the world, giving the SONANGOL AFRICA ECO RACE the coverage it deserves. 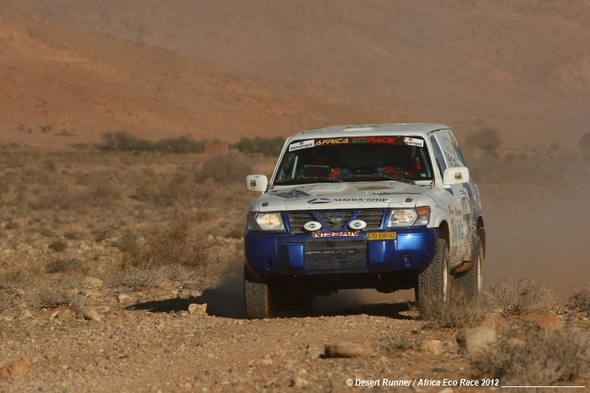 Among the participants of the 2014 SONANGOL AFRICA ECO RACE, a team composed by 3 cars will compete with the colors of SENEGAL: THE DAKAR DREAM TEAM! 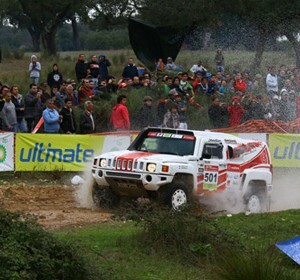 Absent last year, Thierry MAURY will be back at the wheels of his Nissan PATROL with which he classified 17th in 2011 and 33rd in 2012 (broken engine ). His co-driver for 2011 and 2012, Yves-Marie DULIOUST, will be the team manager for this edition. Therefore, he will have to rely on Jeanne, his wife to secure navigation. It will be her first participation on the SONANGOL AFRICA ECO RACE, even though she won 10 rally titles in Senegal as a co-driver. The second car of the team will be the MD buggy of Philippe PORCHERON and Cedric RIVET. It will be their 3rd participation to the event. After having finished honorably 26th in 2012, their goal is to do much better on this edition. The third car will be driven by Hervé TOSCANO, which participated to about 10 off road rallies, and Thibault SANS which won many rally titles in SENEGAL and IVORY COAST, but this time he will be sitting on the right hand side. Their car is a tough SPRINGBOX, based on a Nissan PATROL and mounted with a 4.8L Chevy engine and perfectly adapted to the race. Assistance will be secured by a 6×6 MERCEDES truck, driven by Alain MAZIERE, co-driven by Eric CONTABLEAU. It will carry all the needed spare parts as well as the Senegalese mechanic Adama SYLLA. Two other assistance vehicles will be present to secure transportation for the rest of the team. The ambition of the team is obviously to have everyone cross the finish line at the “Lac Rose” in DAKAR and have a nice celebration party.